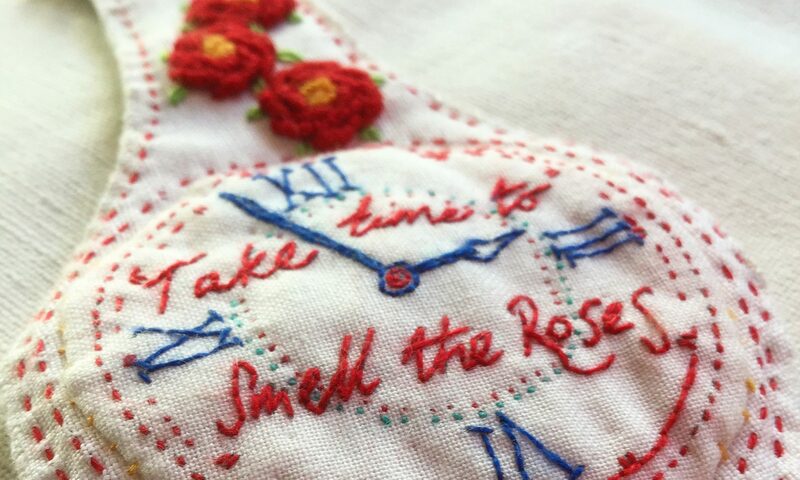 My place had been booked for months for this ‘Embroidered Handkerchief’ workshop. I was so excited. I love Jessie’s style of work. 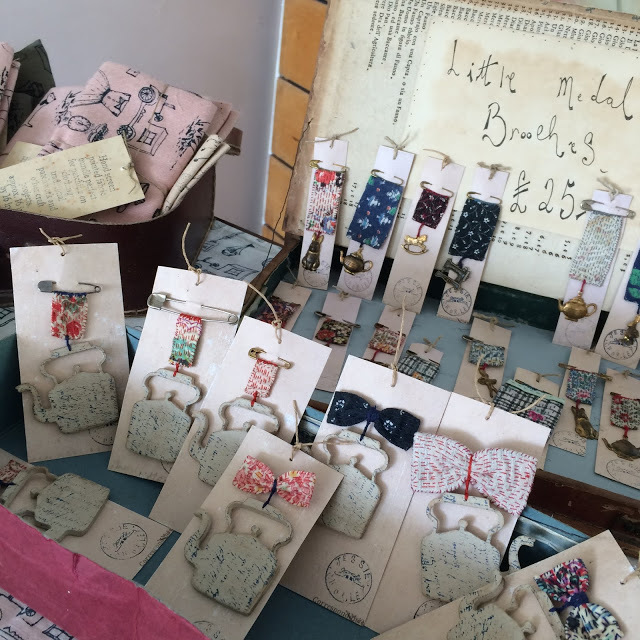 She incorporates found objects, re-purposed and vintage textiles, story telling, printing, and plenty of hand stitching. 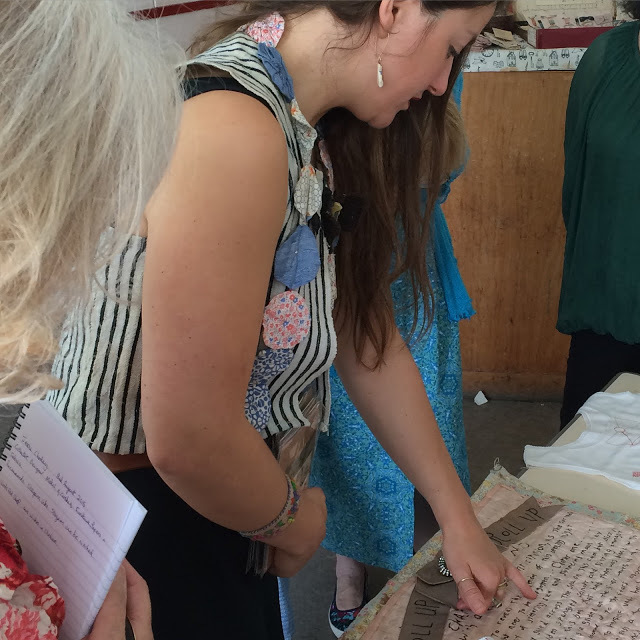 I have been following Jessie Chorley’s work for a number of years now and have been lucky to attend many of her weekend classes at Hope and Elvis – all truly wonderful. 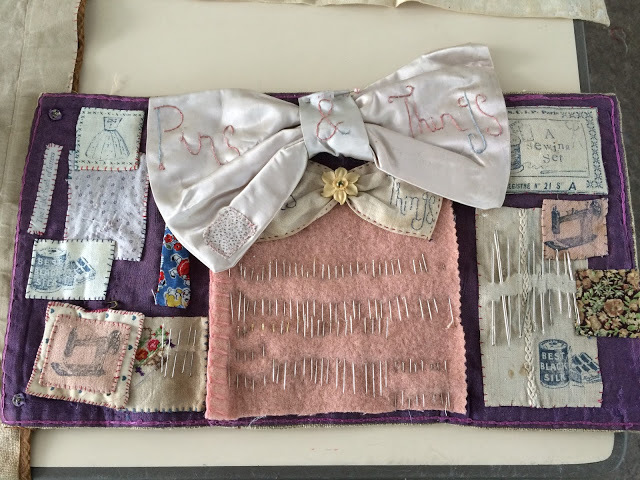 This workshop was nearer my home and with my girlfriends at the Hertfordshire Embroiderers’ Guild. I had offered to be hostess for the day (involves keeping the tea flowing throughout the day and providing lunch for the tutor) which kept me rather busy, so I spent more time thinking about my sewing than actually doing much of it. Which was quite nice. I hadn’t really spent a day like this before. It offered me the opportunity to revisit the same piece of work throughout the day, audition threads, fabrics and ideas, until I was very content with my choices and started sewing (quite late in the day). 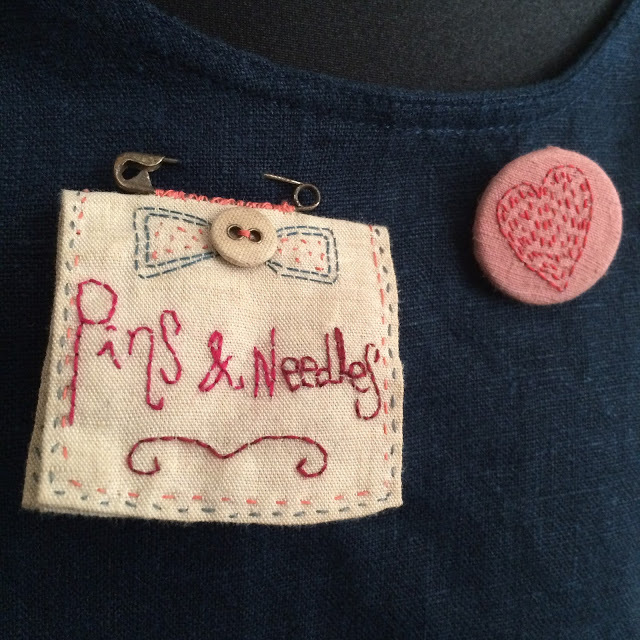 I also stitched a pin onto the back of one of Jessie’s heart buttons and adding it to my apron. I love it! Having met Jessie before, I knew that she loved vintage everything. 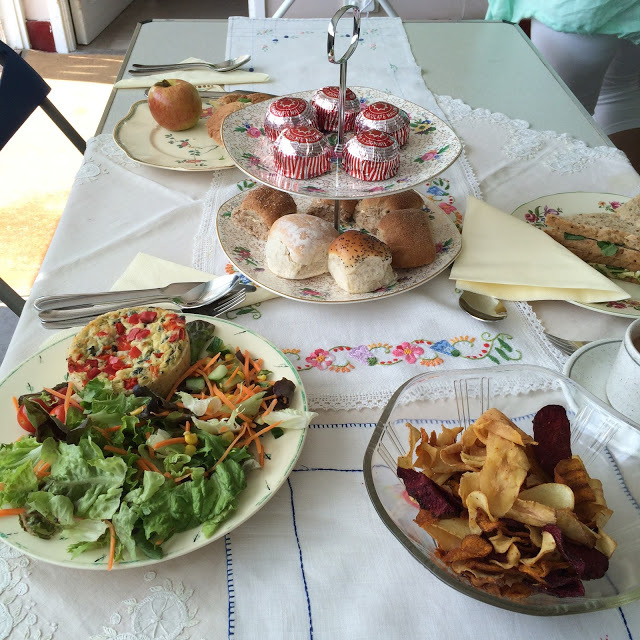 A perfect excuse to raid my vintage linens and vintage china to make her lunch special. By the end of the day, many of the faster stitchers had completed a tremendous amount of work. I am always stunned at the Show and Tell. Each person has been given the same guidance from Jessie and yet each has created such different pieces. It was a wonderful day. I haven’t been on any form of workshop for quite a few months and I really have missed doing them. 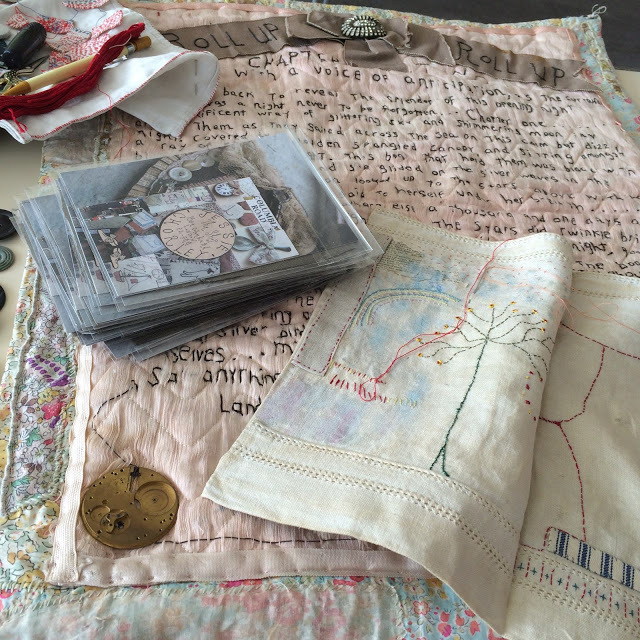 As a quilter in my previous life, I used to attend and teach a great deal of patchwork and quilting workshops. 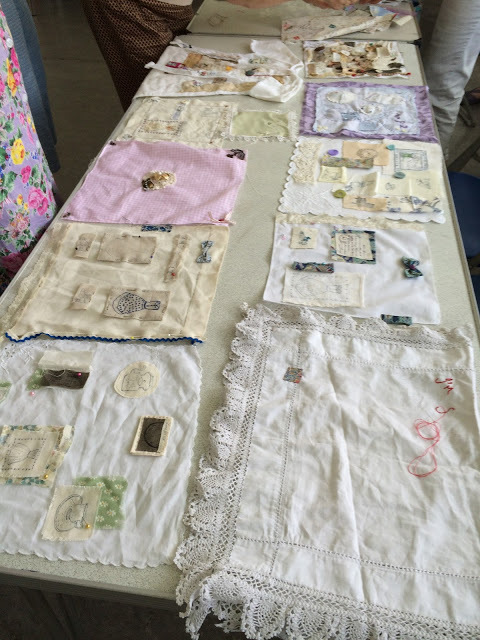 Each class (or rather the quilters) were rather driven to achieve something substantial or an objective – like a quilt top – by the end of the day (quite a lot of sewing). 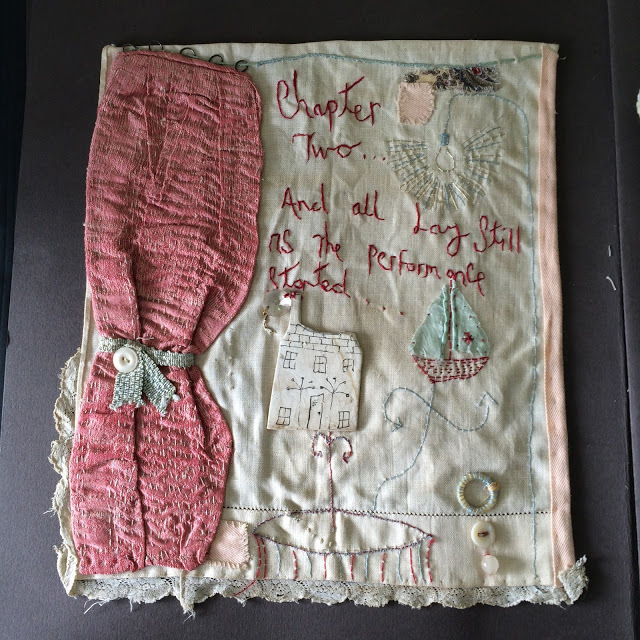 Since I have moved into hand embroidery, I am more content with the design elements of carefully positioned coloured threads and fabric scraps – ‘slow-stitching’ – and have enjoyed my workshops more as a result. 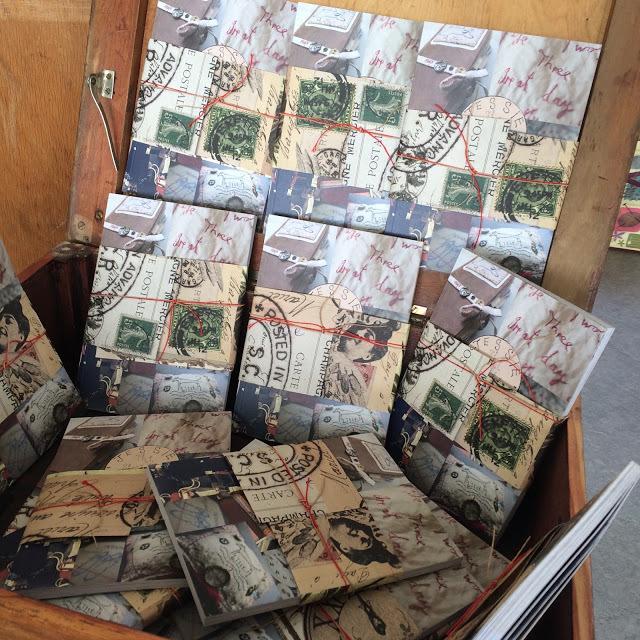 Just giving myself ‘permission’, the time to think, has made a huge difference to my work. I now go home with my mind buzzing and several more projects developing. 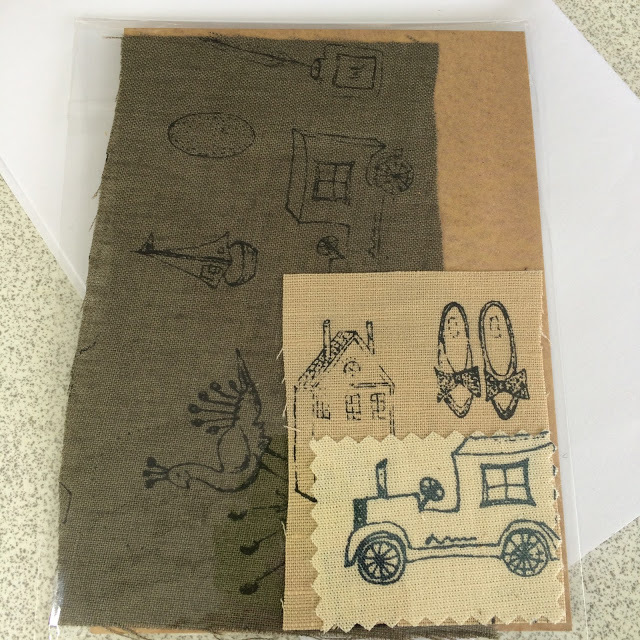 I forgot to mention, Jessie gave us each a gift at the start of the day – some pieces of her new printed fabrics. They are so yummy. She had also brought some goodies for sale. 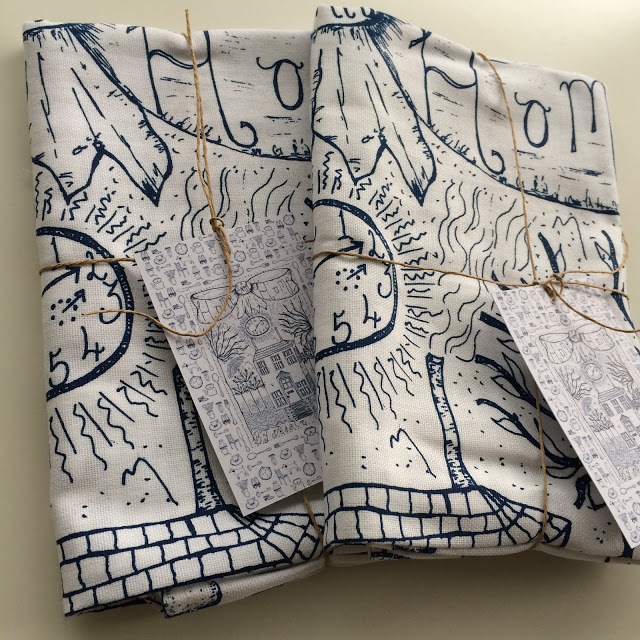 Some of her printed tea towels gave home with me. Jessie’s new book is out 15th August 2015. More photos of it to follow in a later post. I have had a sneak preview and it’s a purchase I would definitely recommend. Previous PostPrevious Now where are my paintbrushes! The Bohemian art of the Bloomsbury Group.